THE 1958 ROYAL COMMISSIONS WIDELY PRAISED REPORT ON THE STATE OF COMMON LAND AND ITS RECOMMENDATIONS FOR SUSTAINING WHAT IT CALLS “THIS LAST” RESERVE OF UN-COMMITTED LAND IN ENGLAND AND WALES . SSSI, BETTER KNOWN NOW AS £££$, AND SPREADING FASTER THAN THE BLACK PLAGUE. THE PHOTO’S WERE TAKEN IN STAFFORDSHIRE WHERE I GREW UP, THIS AREA HAS ALWAYS BEEN OPEN ACCESS. “THE NEW PARK” AS WE ALWAYS CALLED IT WAS AN AREA THAT PEOPLE ALL OVER THE POTTERIES VISTED, SOME ARRIVING BY BARGE, OTHER’S BY PONY AND TRAP. HORSE RIDERS AND PEDESTIANS USED THE WOOD AS A PLACE FOR AIR AND EXERCISE, PICNICS, FAMILEY DAYS OUT. 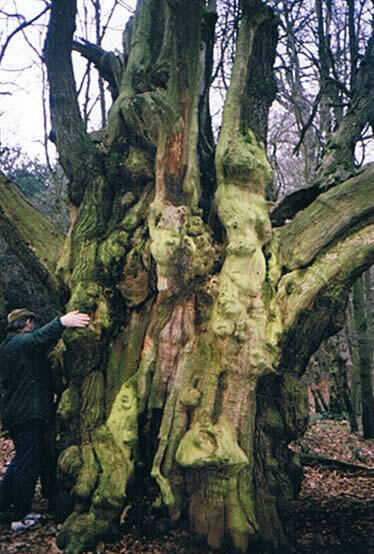 THE WOODS AND LEA’S WERE GIVEN TO THE PUBLIC BY THE “DUKE OF SUTHERLAND. ONLY ONCE DID I LEARN OF THE ATTEMPTS TOO ENCLOSE THE AREA, AND THAT WAS BY THE MAN THAT NOW OWNS OR IS A DIRECTOR OF “ALTON TOWERS” A BLOODY WASHING MACHINE SALES MAN. THE GOOD PEOPLE OF THE AREA TORE DOWN THE FENCING, AND THAT WAS THAT, NO MORE MR.BROOM. THE WOODS AND LEA ARE PROTECTED FROM VANDALIM BY THE PUBLIC, AND AS FAR AS I AM AWARE THERE HAS NEVER BEEN ANY ATTEMPT AT VANDALISM. SO WHY £££$, IT IS NOT NEEDED, SO THE “SAVE THIS AND THAT” FROM WHATEVER IS JUST ALARMING THE GENERAL PUBLIC, NOTHING HAS EVER HAPPENED TOO THOSE TREES, I HAVE FIRST CLASS INFORMATION. 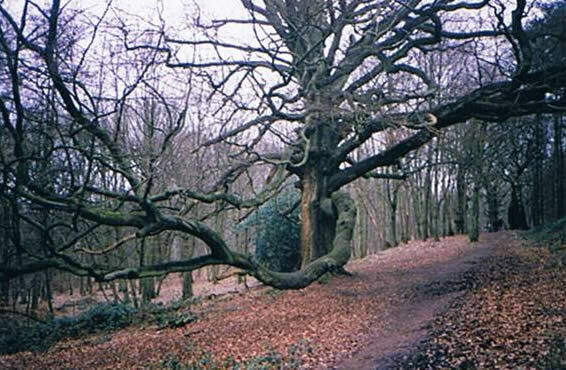 THE PHOTO’S WERE TAKEN IN THE MID 90’S, THERE HAS BEEN NO CHANGE APART FROM WHAT EVOLUTION HAS VISITED TOO THE AREA, I FIRST SAW THOSE TREES AND OF WHICH THERE ARE MORE IN THE 40’S. ON MY PREVIOUS POST THERE IS A PHOTO OF BURNING ON WHITCHURCH HEATH COMMON CL21, THIS WAS TAKEN WHEN STEPHEN LEWIS AND HIRED HELP HAD CUT DOWN INDIGINOUS PLANT LIFE, IN DOING SO WILDLIFE LOST OUT, AND CONTINUE TO LOOSE OUT. LIGHTING FIRES AND ATTENDING FIRES ON COMMON LAND IS PROHIBITED.